The initiative taken in 2002 by Egbert Huizing and Paul van den Broek to publish the History book of Collegium Oto-Rhino-Laryngologicum Amicitiae Sacrum was especially intended to inform the new generation of members on the circumstances that led to the creation of CORLAS. While World War I had killed or injured millions of human beings, offering in 1926 a scientific setting in the north of the Netherlands where international leaders from “both sides” could again exchange their thoughts was a remarkable idea of two Dutch scientists, Charles Emile Benjamins and Adriaan De Kleyn. The intent of giving birth to CORLAS can thus be seen as a diplomatic initiative to solve a political problem. The soundness of this challenging project was fully demonstrated by the growing attendance to the following annual meetings and the elaboration of rules safeguarding the spirit on which the Collegium is, still nowadays, grounded. Among all the prominent founding members, can be recognized standing up at far right Charles Emile Benjamins, and, sitting in the third position from the right, Georges Portmann (Bordeaux), sitting second from left Robert Barany from Uppsala, Nobelprize winner 1914 and fourth from left Hendrik Zwaardemaker (Utrecht), president of the founding meeting. Charles Emile Benjamins was born in July 1873 in Semarang, Java, where his father, Henri Louis Benjamins, was a medical officer. He left Asia with his family in 1911 and moved to Utrecht where, in 1912, he was appointed ORL specialist at the St Antonius Gasthuis. In this city he was able to carry out exciting physiological work on anatomy and physiology of the labyrinth in the laboratory of Prof. Zwaardemaker, one of the foremost medical physiologists and otorhinolaryngologists of the Netherlands at that time. In 1924 Benjamins was appointed professor in ORL at Groningen University and it was during this period that the initiative of creating CORLAS was born in his mind and that of De Kleyn. It is interesting to know that Benjamins had obtained his main training in ORL diseases in France and Germany, this education making even more difficult for him to accept the absence of dialogue between the two countries after the tragedies of the war. Adriaan De Kleyn was born in 1883 in Southern Holland. He made his medical studies in Utrecht and, after having completed his ENT education in Vienna (Politzer, Bárány), he settled in Utrecht as an ENT specialist at the Diakonessenhuis. Despite several offers from other universities, he stayed many years in Utrecht to be able to continue his research activities in the fields of ophthalmology and balance. In Utrecht he had numerous discussions with Charles Emile Benjamins and their common interest for international friendships undoubtedly favoured their aspiration to restore scientific contacts between France and Germany. 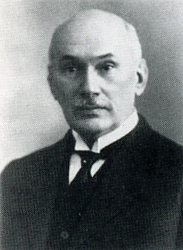 In 1936, Adriaan De Kleyn eventually accepted professorship at Amsterdam. 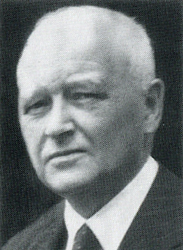 In 1938 he was President of the 10th anniversary meeting of the Collegium in Groningen.